And again. 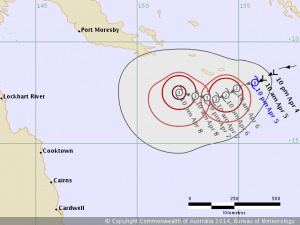 Tropical Cyclone Gillian? I guess it’s that time of year. 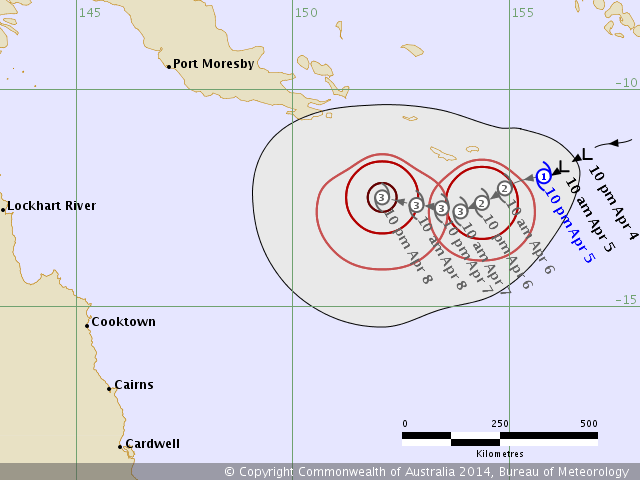 This should be called Tropical Cyclone Gillian, assuming it develops into one. More info when available. 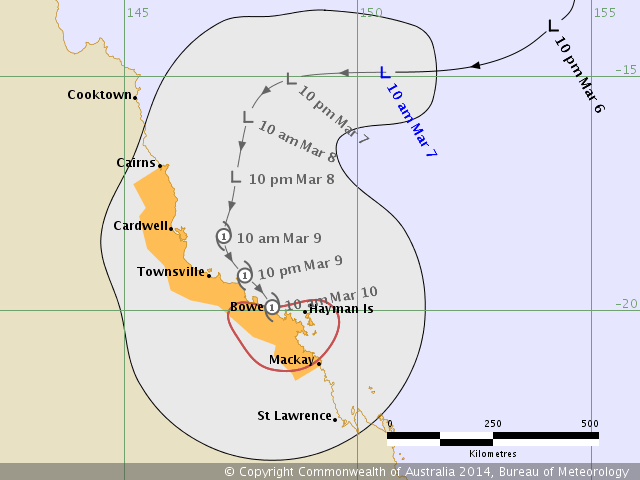 Edit: The tropical low in the Gulf of Carpentaria has developed into a full tropical cyclone first and has been named Tropical Cyclone Gillian. 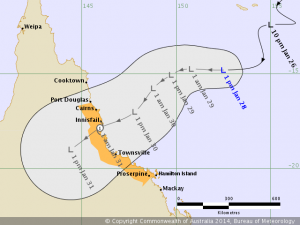 Assuming the low in the Coral Sea becomes a TC then it will be called Tropical Cyclone Hadi. 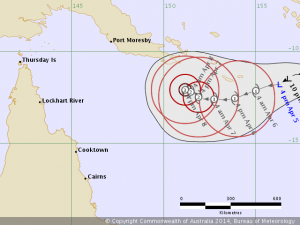 This entry was posted in Weather and tagged australia, cyclone hadi, cyclone season, far north queensland, fnq, silkwood, track maps, tropical cyclone gillian, Weather, wet tropics on 2014-03-07 by pete. 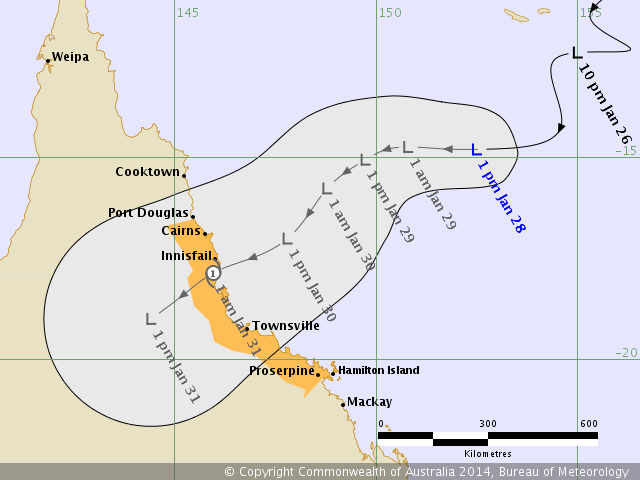 This entry was posted in Weather and tagged cyclone season, far north queensland, silkwood, tc dylan, track map, Weather on 2014-01-28 by pete. 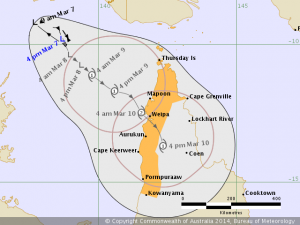 Today marks one year from the day Tropical Cyclone Yasi arrived so I thought I’d compile a list of Yasi related posts and tweets. 1. This is the first post about Yasi. 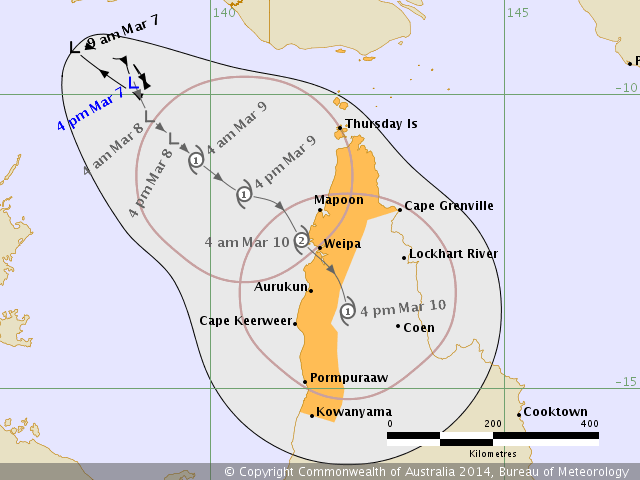 It was written when we were still concerned about Cyclone Anthony. 2. Next was the first threat map for Yasi from the Fiji Met Service and an infra-red image from NOAA. 3. On the 31st of January the Australian Bureau of Meteorology issued their first threat/track map for Yasi. I added the latest maps as they became available. 4. 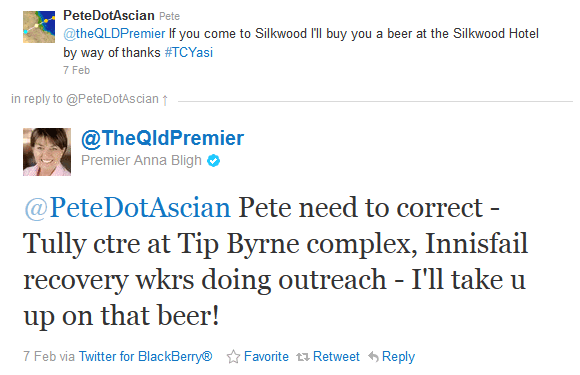 The ABC published an article about cyclone preparation info as by now it was clear that Yasi was going to be a big one. 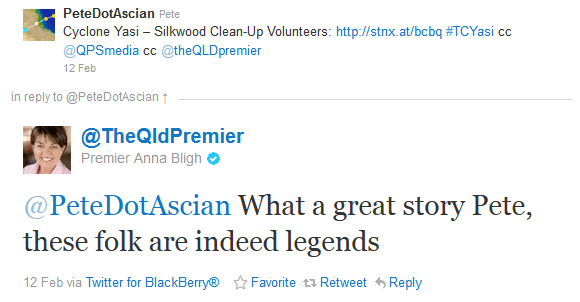 This post also includes links to QLD Premier Anna Bligh and Deputy Police Commissioner Ian Stewart on YouTube. 5. 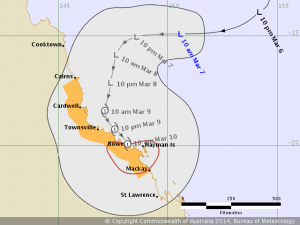 Then came a list of useful links for cyclone information. 7. Somehow this blog shot up the Google index. 8. We got up at 5am and checked the BoM track map. We got a bit of a surprise. 10. Sitting and waiting in the council offices in Tully for Yasi to arrive. 11. 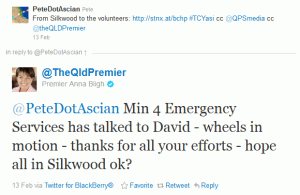 I would have added the tweets from Tully but they no longer seem to be available. 12. 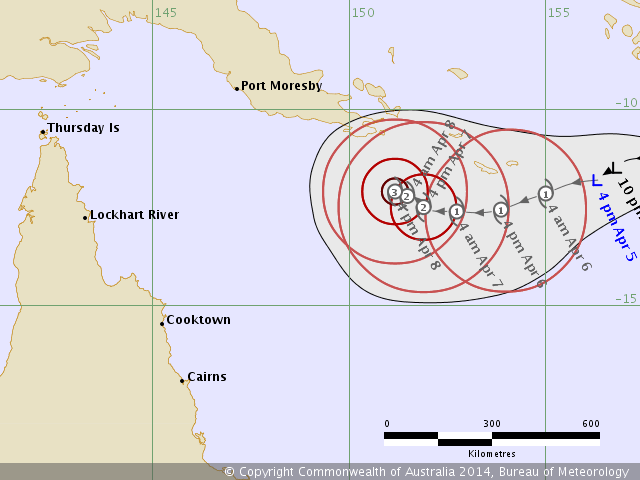 In the eye of Cyclone Yasi. 13. I finally got to post some photos a few days later. As soon as it was light enough in the morning after Yasi had passed three of us hopped into a council ute and did the first damage assessment photo survey of Tully. 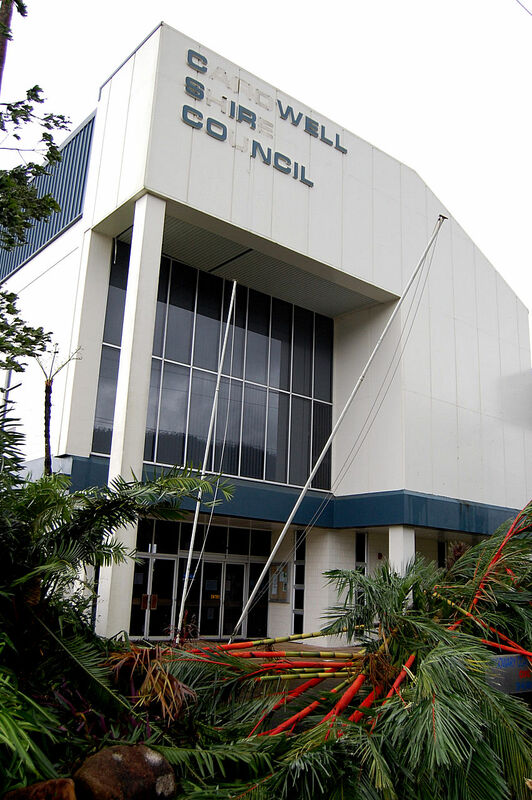 I took nearly 250 images of damaged buildings and infrastructure in approximately 60% of Tully. These were in the hands of the authorities by about 9am. 14. One day later. Gathering thoughts. 15. This is what we came home to in Silkwood. And this. 17. 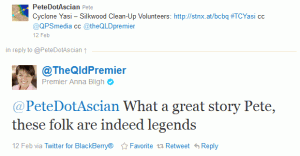 500 volunteers come to Silkwood to help with the clean-up. 19. Lisa is so chuffed with the help from the volunteers that she makes a “thank you” sign. For the next two weeks everyone passing seems to stop and take a photo. 20. An evacuation shelter at Tully that wasn’t up to the job. Could we have some heavy machinery? 23. Tully’s famous Golden Gumboot, still standing after two massive cyclones. 24. It’s the 18th of February and things are starting to happen. 25. 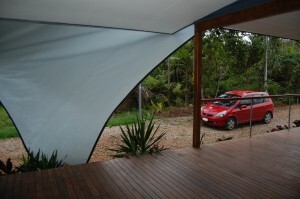 We used to live at Tully Heads before we moved to Silkwood in 2010. Here are some photos of what it used to look like. 26. Premier Anna Bligh keeps her promise and visits Silkwood for a coldie. 27. Things look a bit different now. 28. First signs of trees in recovery. 29. Prince William makes a flying visit to Cardwell and Tully. 30. 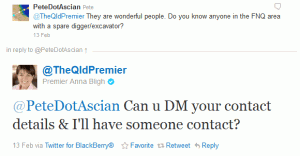 We established QLD.so, a URL shortening service to raise awareness of the Premier’s Fund. 31. A massive turn out for the annual Tully Show. 32. Tully, six months after Yasi. Lots still needs to be done. 33. More progress on the house rebuild. 34. Er, that’s it. The house still leaks. The ceiling still bulges downwards. The expense goes on. 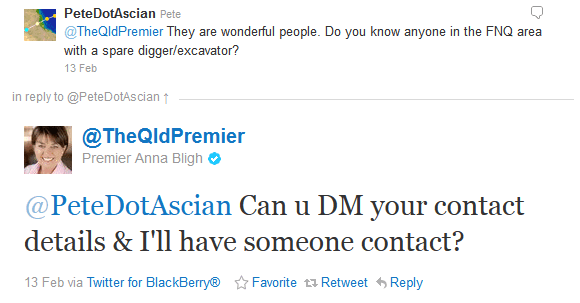 SunCorp is still being very unhelpful. 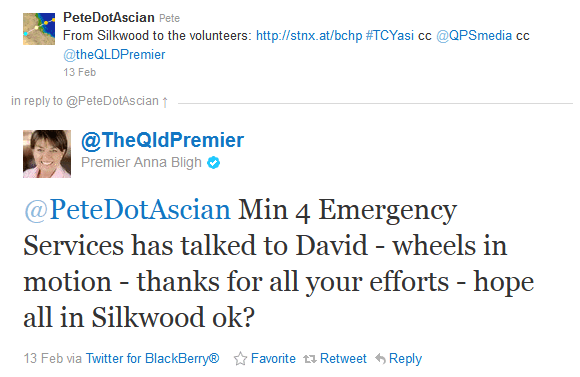 We have worked out the $15k from the Premier’s Fund will not cover the extra work that SunCorp aren’t paying for. Last of all I’d like to thank all those people and organisations that have helped us in the last year. You know who you are. You made a big difference. 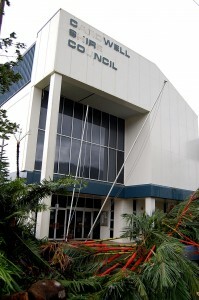 This entry was posted in Cyclone Yasi, Weather and tagged anna bligh, cassowary coast, cyclone season, cyclone yasi, far north queensland, fnq, prince william, silkwood, tully on 2012-02-02 by pete. 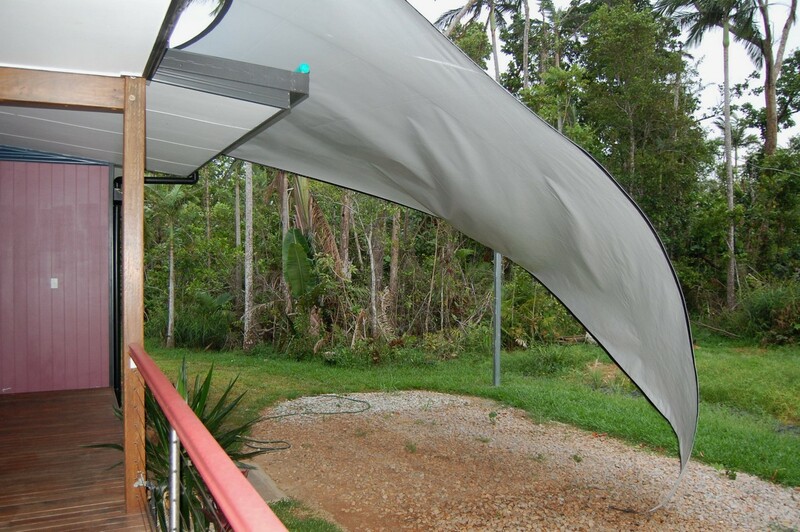 We had the first storm of the wet season last night – two weeks early – and the shade sail at the renter decided to let go of one corner this morning. I can’t see this lasting long in a real blow. A 6m x 6m sail blowing around in a strong wind isn’t the safest thing to be around. This entry was posted in Weather and tagged cyclone season, far north queensland, fnq, Weather, wet tropics on 2011-10-18 by pete.